Maintaining your own organic vegetable garden is very rewarding, but will of course involve a certain amount of effort from you. So you not only get good vegetables to supplement your diet but you get lots of exercise as well which is also good for you. 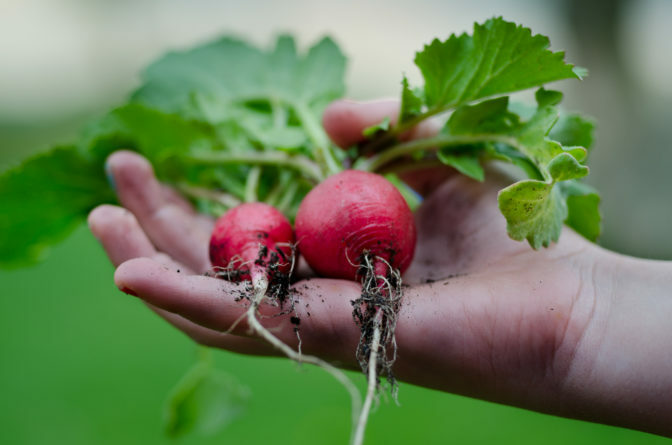 If you can possibly prepare your organic vegetable garden during the autumn so that the ground has the winter to mature, with all the manure and anything else you have dug in. To deter weeds from growing up you can cover the plot with old carpet, cardboard or any other material that will allow the water through but keep the light out. It will also act to keep the ground warmer for when you need to start planting. Next you need to plan your organic vegetable garden. Rotation cropping helps to reduce pest and diseases, by not allowing them to build up in the soil. This means that different crops are grown in different sections of the garden on a five-year rotation. This also stops the soil being drained of the same nutrients each year. Some plants have very few soil dwelling pest or diseases that they can be planted anywhere within the rotation. They are as follows; Aubergines, chicory, courgettes, cucumbers, endives, fennel, French beans, lettuces, marrows, peppers, pumpkins, runner beans, squashes, and sweet corn. So now you have started your organic vegetable garden. Call back to this site as we will update with more information. You can copy this article, providing it is copied in its entirety. Permission is granted for you to share the complete and unedited version of this article with others providing the following conditions are met; The document remains intact and entire.